With more than 30 breweries, hundreds of specialty beer pubs and bars, and more opening every year, Prague is one of the best destinations in the world for beer lovers. Maybe it’s because the Czech Republic has a unique beer drinking culture that can be traced back to the 10th century. The Czech Republic was the first country to have a beer brewing textbook. The Břevnov Monastery in Prague was home to the first brewery in the country, which opened in 933 AD, and it is one of the oldest recorded in the world. Back then, there was little to choose from and the most consumed beer was the turbid, cloudy and dark type, that is until the year 1842, which marked another milestone in the brewing process: the Pilsner, the first blonde beer, was produced for the first time. Soon it became famous and was transported all over central Europe. For centuries, Czechs have also used their own beer as a substance to stimulate the metabolism and to help remove infections and bacteria from the body. The price of a beer in Prague is literally cheaper than purchasing bottled water in a bar. Even in the most expensive places, a pint of the finest beer remains very affordable: 1.20€ (about 30 Czech korunas). The most consumed beer in Prague is the Pilsner Urquell, an easy to drink, low fermented type. You can visit a beer spa in Prague. The procedure allows guests to bathe in barley, hops, yeast and other natural ingredients used for beer brewing while lying in wooden barrels inside a sauna. On top of that, you get one or two hours of unlimited craft beer and you can even eat their home-made beer bread! You can get your beer poured in many ways, and all of them will be right. It can have two fingers of beer and three fingers of foam, or about one-quarter foam, sitting slightly below the half litre mark. Either way, the foam makes the beer taste better since it helps release its aromas. If a beer is good, it will leave a foam mark on top of the jar or glass. Czech beer is consumed at a medium temperature, neither too cold nor too warm. Beer etiquette is very important for Czech people. They use a beer coaster and toast saying Na Zdraví, which means ‘to your health’ (cheers). When you raise your glass, make sure to make eye contact with those across from you and then drink it off. In order to be served, you just have to sit down and place the coaster in front of you. If you don’t say a word beforehand, most bartenders will just keep bringing you another one, even before you near the end of the glass! According to their size, beers in the Czech Republic are called Malé Pivo (small beer), Velké or Pùllitr (big pint) and Tuplák (one-litre beer glass). But there is a huge amount of options depending on the colour, fermentation process, flavour, etc. By colour: Světlé pivo (pale beer), Polotmavé pivo (amber, half-dark), Tmavé pivo (dark beer) y Rezané pivo (a mixture of pale and dark beers). By degrees: 10º (Desitka), 11º (Jedenáctka) or 12º (Dvanáctka). One thing to notice is that beers are categorized according to the Balling scale, which measures the fermented sugar concentration in the malt. The higher the degree of sugar, the stronger the beer. For example, a 10-degree beer is made from malt that contains at least 10% extracted sugars before fermentation. ALE: used to refer to all top-fermented beers, usually made with hops. ALT: a type of malty, moderately bitter and high fermentation beer with an amber colour. Pilsner: a blonde beer known by its golden colour and beautiful clarity. 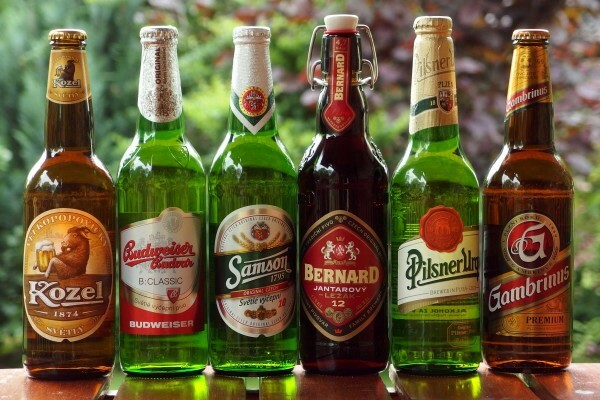 In the Czech Republic, the name exclusively refers to the Pilsner Urquell. Kvasnicové pivo: yeast beer with a bread-like aroma. Prague has plenty of places where they brew their own beer, including the Břevnov Monastic Brewery, Klášterní pivovar Strahov, U Dvou koček Restaurant, U Medvídku Restaurant and Brewery and Pivovarský dům. 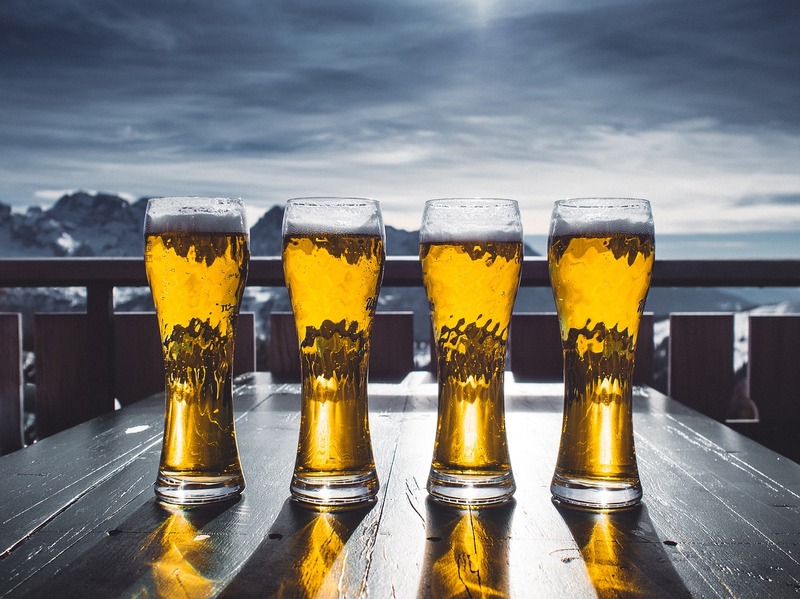 If you’re a beer lover and want to get insider tips from a local expert, I recommend taking a guided beer tour to discover the big variety of styles and flavours and dive into the history, culture and even science of this drink. Another great option is to visit the Prague Beer Museum, where you can find beer collectables and original bottling machines, and learn about the process of malt production in several themed rooms. Whether you are a beer connoisseur or just an enthusiastic traveller, craft beer tasting is definitely one of the best things to do in Prague.